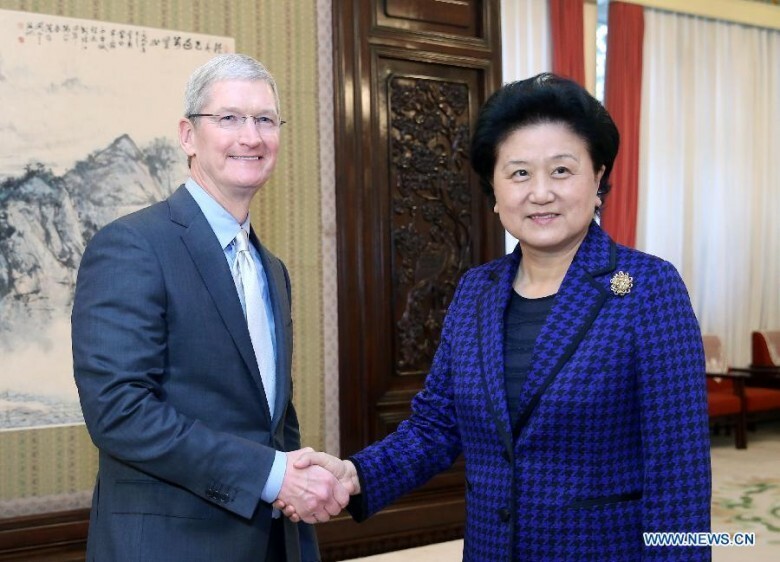 Tim Cook meeting with China's vice premier. Apple has pulled a massive 25,000 apps from its Chinese App Store following state media complaints about the company. At least 4,000 of these were tagged with the word “gambling,” which is illegal in China outside of state-sanctioned lotteries. Apple’s apparent failure to do anything about these apps has been a big story in China. State-controlled media in China accusing Apple of failing to act to block content that is pornographic, gambling-focused, and (ironically) intended to promote the selling of counterfeit products. This came after Chinese iMessage users reported being bombarded with spam messages related to these topics. In addition to this recent cleaning house, Apple has been cracking down on gambling-related apps internationally. However, as we’ve noted before, this purge has led to some apps with nothing to do with gambling being removed or temporarily removed. This isn’t the first time that Apple has removed apps in China. The company previously agreed to ban Skype and several other voice over internet protocol apps from the App Store in China because they do not comply with local law. In addition, Apple has kowtowed to China by agreeing to move local iCloud data to be under the control of the state-owned China Telecom. A lawyer for the Beijing Vlaw Law Firm previously told the Wall Street Journal that, if Apple is failing to stop content which violates laws, it could find its services forcibly shut down. Tim Cook has regularly spoken about how the company views China as its future biggest market.